Going trail-running with an SLR camera in my backpack is not anything I do often. At the same time, a run in the woods is often an opportunity to look for new things to photograph, and sometimes the image is just there in front of you as you stop for breath. That is what happened today, as I went out for a refreshing run after hours in the office. 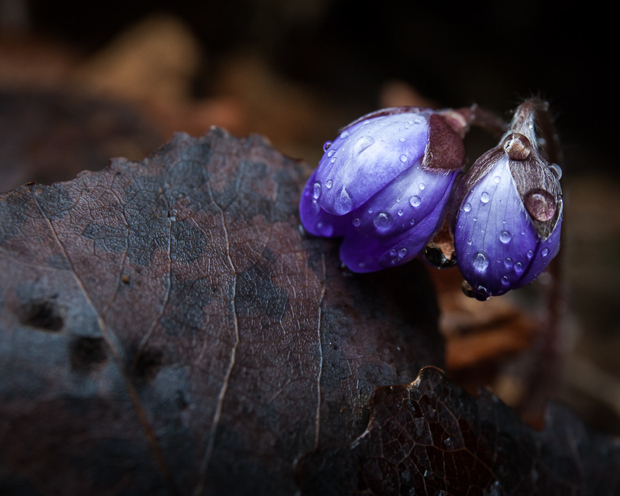 The days rain had just finished, and the spring flowers were clad in the jewels of raindrops.